Deluxe touches, contemporary comforts. The 3308's impressive covered entry and foyer with its expansive great room with views to desirable covered porch beyond. The well-designed gourmet kitchen overlooks the great room and an adjacent bright breakfast area and is equipped with a large center island with breakfast bar, ample counter and cabinet space and a sizable walk-in pantry. The secluded first floor master bedroom is highlighted by a stunning tray ceiling, bright window display, walk-in closets and deluxe master bath with dual vanities, large soaking tub, luxe shower, and private water closet. 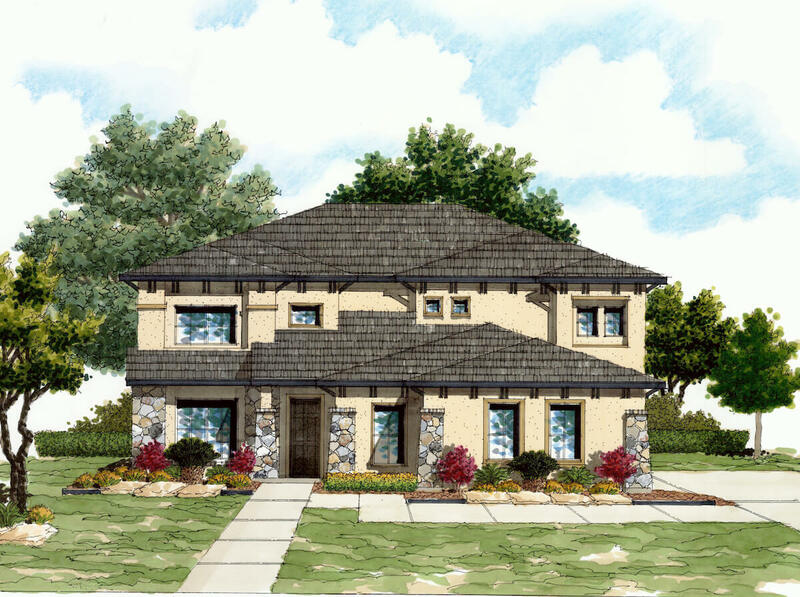 The three secondary bedrooms each feature walk-in closets, two with shared hall bath and a third with private full bath. Additional highlights include an appealing study adjacent to the foyer, a versatile second floor game room, a centrally located laundry and ample storage throughout. 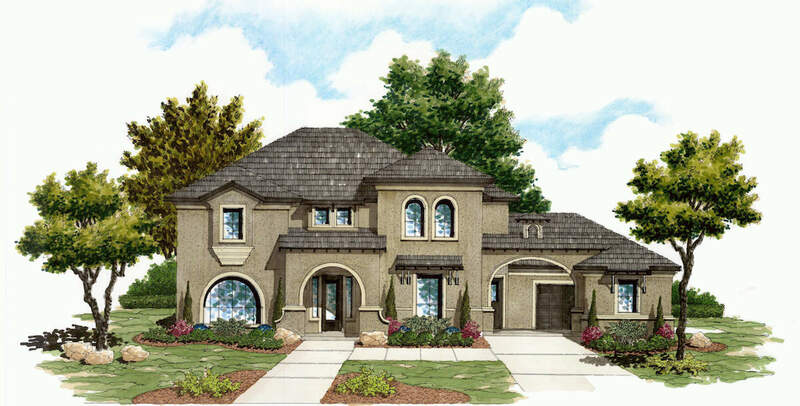 This beautiful 3748 sf 5-bedroom 3.5 bath 3 car garage design features a high entry and spectacular curved staircase, elegant formal dining, and a family room that’s accented by 18 ft towering ceilings that look into an open game room above. The Bentley features a gourmet kitchen with tons of cabinet and granite counter top space. The kitchen is accented by built-in stainless appliances and beautiful 18- and 20-inch tile floors. Adding the oversized arched island is a popular option. A huge butler pantry is between the kitchen and formal dining for serving ease. Around the corner is the large downstairs master suite. The master bath features separate his and her vanities and spacious shower with separate garden tub, and large walk-in closet. 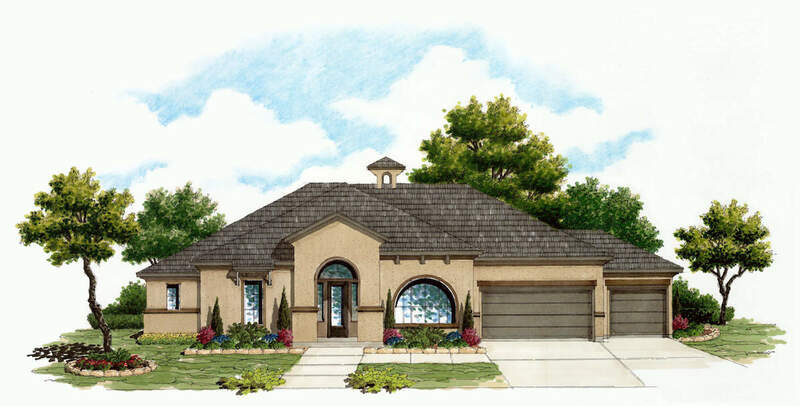 The upstairs bedrooms offer 4 large bedrooms with nice walk-in closets in each. A media room option is also available with 7 channel surround sound pre-wire. 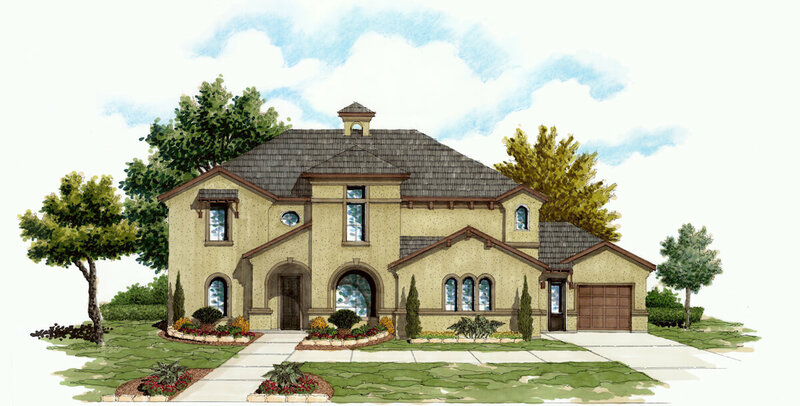 This home design is the definition of elegance! Fantastic, two story entry/foyer with spectacular curved staircase. First floor master bedroom with a stunning bath and a 3rd vanity. Optional second bedroom with a full bath downstairs. Spacious laundry room and mudroom off the garage. 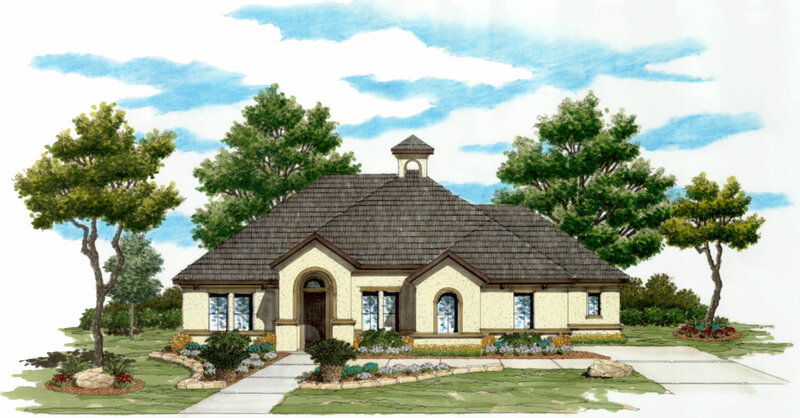 4 to 5 bedrooms, 3.5 to 4.5 baths, including a jack n jill and featuring a Porte Cochere leading to a 3 car garage. 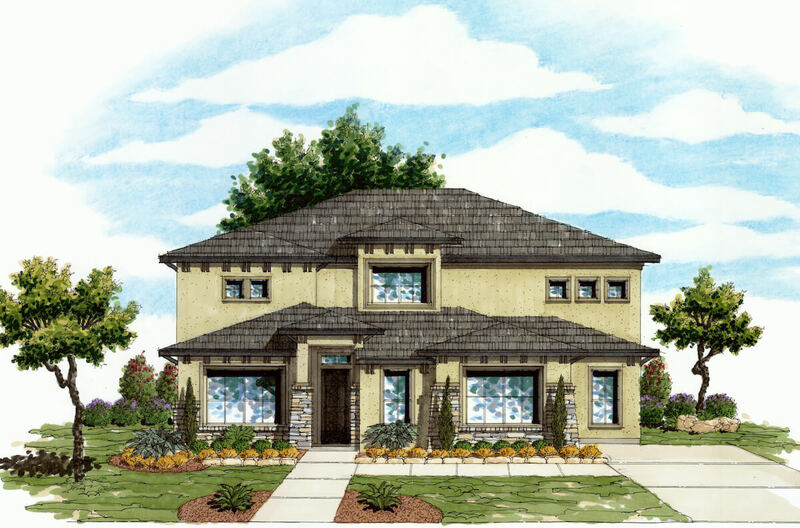 Additional highlights include a game room with optional media room, study with french doors, covered patio. 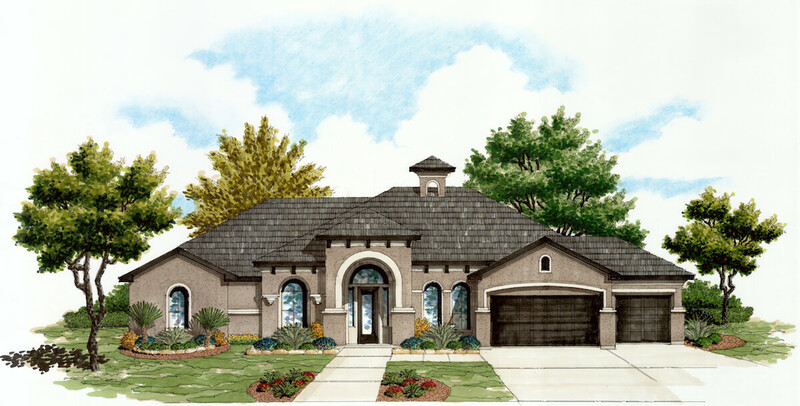 Visit our model of this plan at 6407 Tallow Way, San Antonio, TX 78109.